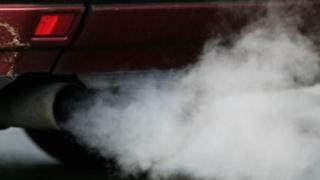 Final details of the packages offered will be announced in June, but a court had given VW and regulators until Thursday to reach a deal in principle. Last year, US regulators discovered that VW cars were fitted with software that could distort emissions tests. The German giant subsequently said 11 million cars worldwide were affected. He did not give details of how much car owners would offered in compensation, but said the deal between Volkswagen, the US government and private lawyers would be "substantial". Judge Breyer said VW would also pay into an environmental fund and commit other money to promote green car technology. Volkswagen told its shareholders last year it had set aside $7.3bn to help defray the potential costs of a recall or regulatory penalties, but that figure could rise. The company faces as much as $20bn in fines for Clean Air Act violations alone. Analyst Marc-Rene Tonn, at Warburg Research, estimated the direct financial impact on Volkswagen from the emissions scandal worldwide was $32.3bn. The US settlement could influence what happens in Europe and in other countries, Mr Tonn said. "Very generous payments to US customers may add to some greediness here, too." Volkswagen installed software in the diesel engines to detect when they were being tested and cheat the results. Some models could have been pumping out up to 40 times the legal limit of the pollutant, nitrogen oxide, regulators disclosed. "Volkswagen is committed to winning back the trust of its customers, its dealers, its regulators and all of America," said VW lawyer Robert Giuffra. The agreements are "an important step forward on the road to making things right," he added. The firm said in a statement that it "intends to compensate its customers fully and to remediate any impact on the environment from excess diesel emissions". It said a deal in principle had been reached with the Justice Department, the Environmental Protection Agency and the California Air Resources Board. It added that it had "reached an agreement on the basic features of a settlement with the class action plaintiffs in the lawsuit in San Francisco. This agreement will be incorporated into a comprehensive settlement in the coming weeks". The deal announced on Thursday covers mostly 2-litre vehicles. Judge Breyer said he expects an agreement between VW and regulators covering about 90,000 larger vehicles and SUVs to be addressed "expeditiously".